I first heard of Pushing Daisies from my Impact editor, John Mosby, who gave me the opportunity in 1998 that became my career as a writer. I’ll never be able to thank him enough for that. John had seen an early screening of the pilot and raved about the show’s ingenuity and originality. I missed the show when it initially aired but finally caught up with it on Blu-ray a couple of months ago, especially after further recommendations from Bob and Courtney. If you’re not familiar with the show, it’s about a guy named Ned (Lee Pace) who makes pies. He also makes dead people come alive again with a touch, but there’s a catch. He has to touch them again within a minute, upon which they die again — permanently. If he doesn’t touch them, they’ll stay alive — but someone else within the general vicinity will die. Ned’s heart gets the best of him when his childhood sweetheart, Charlotte “Chuck” Charles (Anna Friel), gets murdered on a cruise she booked with the Boutique Travel Travel Boutique. He brings her back to life, hides from her the fact that someone else had to die, and also hides the fact that the day he learned how his powers worked was the day he unknowingly killed Chuck’s dad to bring back his own mother when he and Chuck where just kids. The problem is that even though he and Chuck are dearly in love, he can never touch her or she’ll die again forever. 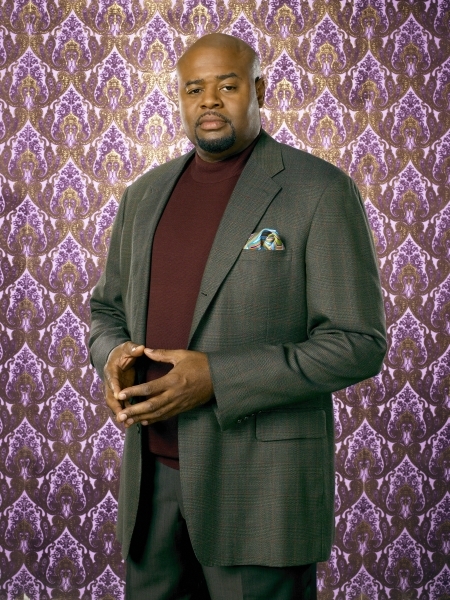 Ned owns a pie shop called the Pie Hole and solves murders with a private detective named Emerson Cod (Chi McBride), whose interests include guns, knitting, and learning how to make his own pop-up books. And of course there’s Olive Snook (Kristin Chenoweth), the Pie Hole waitress who loves him and can’t understand why he’s always mooning over a girl he won’t even touch. The show is sweet, colorful, and laugh-out-loud hilarious, occurring in a reality that’s not quite real. Never have I ever seen a cast take so immediately and completely to the material they’re given, especially when the material is as unique as this. 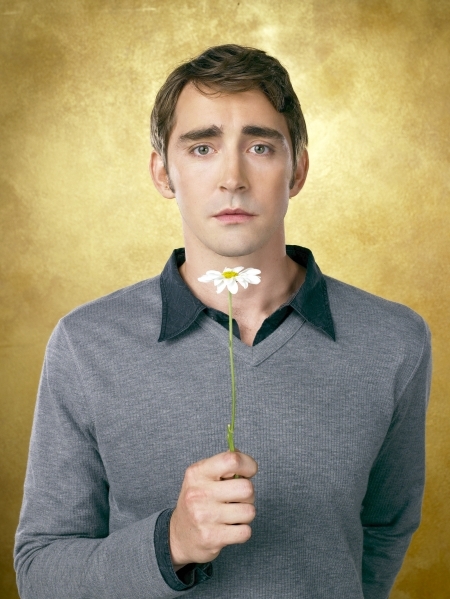 Lee Pace is perfect as Ned, who’s so afraid of what he can do that he’s hesitant to do anything. But Chuck brings out the best in him, and Anna Friel is one of the most vibrant and beautiful women I’ve ever seen. She plays Chuck with a lust for life and the little things that makes her absolutely irresistible. McBride is hilarious as Emerson; you’ll run out of fingers and toes counting the hilarious line deliveries he gives in each episode. And Chenoweth gives one of the most deliciously delightful portrayals I’ve ever seen in anything. The nine episodes of the first season were lovingly spread across three Blu-ray discs, and the extra room really lets the colors breathe. As a comparison, the same studio, Warner Bros., crammed the 22 episodes of Smallville‘s seventh season on the same number of disc, and the episodes look squished and compressed. I’ve only seen the first season. ABC stopped showing the show before I ever even watched the Blu-rays. They never aired the final three episodes filmed, nor did they give series creator Bryan Fuller the opportunity to write and film a true finale. But at least the second and final season — including the three unaired episodes — will be released on DVD and Blu-ray on July 21. You can read more about the initial announcement right here, with even more information (and tons of great info about the show) right here. This is great news for me, because I haven’t seen any of the second season and I’ll have 13 new-to-me episodes to look forward to. And if you haven’t seen the show, I suggest seeking it out as soon as you can. Prepare to fall in love with it immediately. And just for the record, this was NOT an April Fool’s Joke.